At the recent Inbound16 conference, HubSpot CEO Brian Halligan told inbound marketing attendees that “50% of your content next year should be video”, urging them to hire a videographer, not a blogger. According to Adobe, 51.9% of marketers believe video offers the highest level of ROI, while one in four feel they’re behind where they should be on the format. It’s hard to argue with Halligans POV, but it must make sober reading for small businesses who don’t have the scale to add a videographer to their headcount. Fortunately, in their quest to provide businesses with content they can then spend money promoting, Google has come to the rescue with YouTube Director for Business. It’s a mobile app that comes preloaded with video ad templates you can use to create on your mobile device (currently iPhone, with Android in the works). The templates cover a wide range of use cases, from small business services to restaurants, non-profits, a variety of customer testimonials, employee stories and even one tailored to software app founders. Each template walks you step by step through the shots you’ll need, with plenty of helpful touches like help framing the subject of your shot. There’s preloaded background music, end title options and even shots that allow you to combine voice overs and footage. Elsewhere on the Kiosk blog, we’ve covered using mobile for more spontaneous and authentic social media content via Instagram Stories, and Facebook Live. Both of those offerings play to their individual strengths, but come with the obvious challenge of leaving the user to figure out what exactly they should be posting. By comparison, YouTube Director walks you through the process of creating a business video in less than an hour, and if you follow the instructions the end result can be impressively sophisticated. It’s worth noting that you can download your video on desktop (instructions here) if you want to also upload it elsewhere. What’s in it for YouTube? Well, the more businesses that have video on YouTube, the more they can leverage video ad products like TrueView, where you only pay when people watch 30 seconds of your video. And in the battle for video ad dollars, YouTube will be duking it out with Facebook’s News Feed, not to mention Instagram, Snapchat and Twitter, for the foreseeable future. Director significantly lowers the barrier to entry for small businesses to create video. At time of writing, they’ll even comp you $100 in credits when you spend $25 to promote your video. 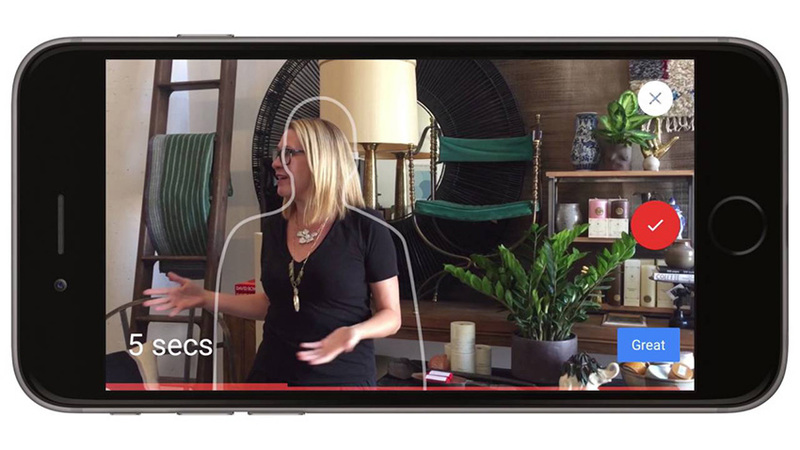 In the long run, if you see video ROI, they hope you’ll be spending a lot more. Looking to scale your social media marketing? Give Kiosk a call.